There is no doubt about that for those on luxury hotel holiday’s food is a fantastic and important part of the overall experience. We have put together the list below of our luxury hotels which offer a gastronomic experience so exquisite that it simply can’t be missed. If you are looking for good food, superb accommodation and outstanding service then I couldn’t recommend the Abama Golf & Spa Resort more. This five-star deluxe hotel boasts some of the finest dining in the Canary Islands with two of its restaurants holding Michelin Stars. The exceptional M.B. 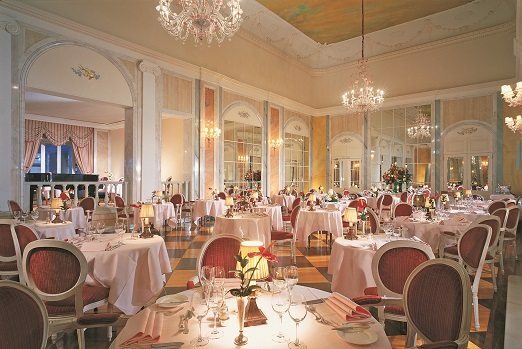 Restaurant is our top pick and has been awarded its second Michelin star for 2014. Named after the celebrated Basque chef Martín Berasategui, the restaurant offers an ornate dining experience with innovative dishes and simple yet elegant ambiance. Other restaurants at Abama include the superb Japanese Kabuki restaurant which has retained its Michelin star for 2014 and offers guests traditional Japanese dishes created with modern Western culinary techniques. With carefully sourced ingredients these extraordinary dishes will not disappoint. To further add to your Abama experience, visit the newly launched Cubanika Rum and Cigar bar serving cocktails and its very own Montealto® ‘Abama Luxury’ cigars. A favourite of Sir Winston Churchill, the sublime five-star deluxe Hotel Villa Sant’ Andrea on the delightful island of Sicily boasts truly exquisite dining at the Oliviero Restaurant. During the day dine on the terrace and enjoy the gentle sea breeze whilst you enjoy the light lunch menu of pastas, grilled fish and salad. In the evening the atmosphere is magical as you dine under the stars and watch the moonlight dance on the water of the bay. Choose from a delightful range of Sicilian seafood, pasta and rice dishes which will tantalise your taste buds. All of which are perfect with a glass of fine Italian wine. Located in the Italian Riviera the superb Bristol Resort & Spa is a classical property close to the popular resort of Portofino. The hotel offers guests and visitors outstanding restaurants commanding superb panoramic views. Le Cupole restaurant is situated at the roof garden of the hotel and offers dishes influenced by the surrounding area from Liguria to the Alps and beyond. 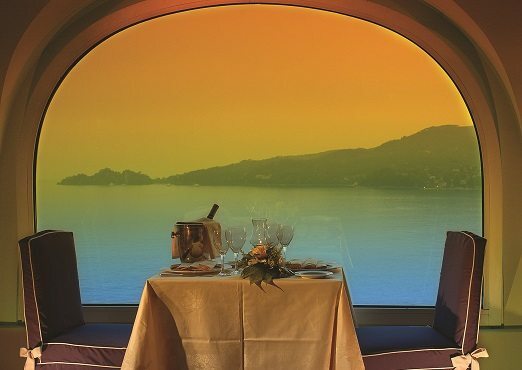 These exquisite dishes are perfectly twinned with beautiful views across the Promontory of Portofino and Tigullio Gulf. With fabulous jazz evenings held on selected dates at the hotel you can follow your dinner with a night filled with sweet music. From the moment you wake up to when you go to sleep your culinary journey at the world famous Reid’s Palace is unlike any other, hence why it has been difficult to list just one restaurant here. 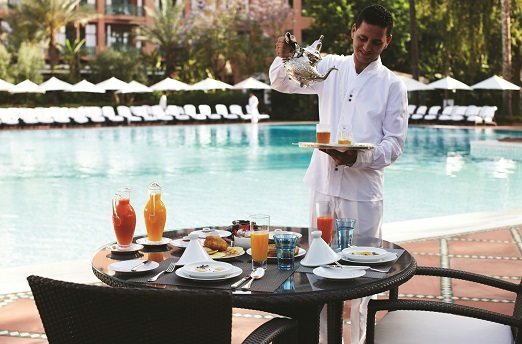 Begin your day with a sumptuous breakfast with all the trimmings, fresh juices and champagne in The Garden Room then, lunch by the pool with the extensive lunch buffet. 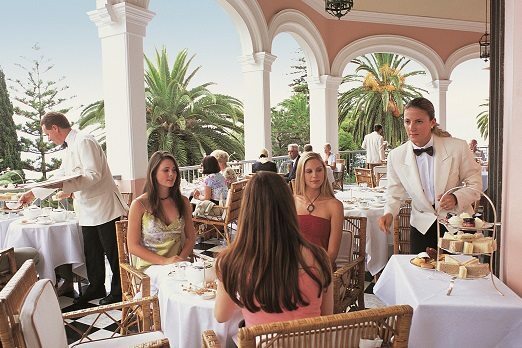 A must on all visits to Madeira is to enjoy the famous Afternoon Tea at Reid’s Palace. A traditional since the hotel first opened you can expect everything you would from traditional British afternoon tea and more. Served in the lounge and on the terrace from 3.00PM to 5.30PM at €33.50 per person it is not to be missed (booking in advance is recommended). The evenings aim to be a truly memorable in the chic Dining Room restaurant. You can expect crystal chandeliers, Champagne Gala Buffets on Saturdays and the stylish Reid’s Dinner Dance on Tuesdays. Equally, sporting marvellous views across the Atlantic Ocean, the Ristorante Villa Cipriani serves delicious Italian cuisine. If you are looking for something truly special book a Moonlight Dinner in which you will receive a four-course meal served by your own private butler. As one of the world’s most celebrated hotels you can expect outstanding luxury, service, accommodation and dining at La Mamounia. The hotel boasts four restaurants, two of which are headed by Michelin starred chefs. As the most important meal of the day there is nothing like the incredible buffet breakfast at Le Pavillon poolside restaurant. With everything you could possibly want or desire from a breakfast you will be sure to find yourself completely satisfied at this legendary hotel. For those who like to lie-in the restaurant serves a luxury brunch on Sundays from 12:30 to 3.30PM. The hotel’s three other exceptional restaurants include Le Marocain which is located in a Riad in the middle of the park offering traditional Moroccan cuisine. 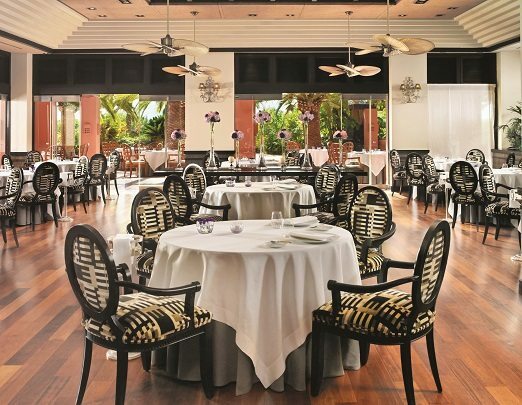 The elegant Le Français by Jean-Pierre Vigato offers a fine ‘Bistronomic’ menu and the sensuous l’Italian by Don Alfonso is ideal for a light lunch or a romantic evening meal. Where is the finest restaurant you have ever eaten in? Tell us on Facebook.